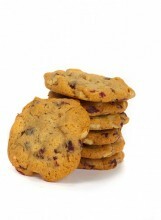 GOURMET COOKIES – Made with the finest ingredients, these handmade preservative free cookies are baked fresh the day they are shipped, to ensure the highest quality. GOURMET COOKIE ASSORTMENTS - Enjoy a mouthwatering variety of these scrumptious cookies with a cold glass of milk or a hot cup of coffee with family and friends, or a good book. Included in each assortment are our five most popular flavors: Semi Sweet Chocolate Chip, Cinnamon Oatmeal Raisin, White Chocolate Macadamia, Dried Cranberry Walnut, and Old Fashioned Sugar. 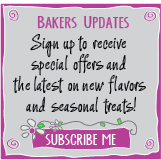 Click the button below to add the GOURMET COOKIES to your wish list.